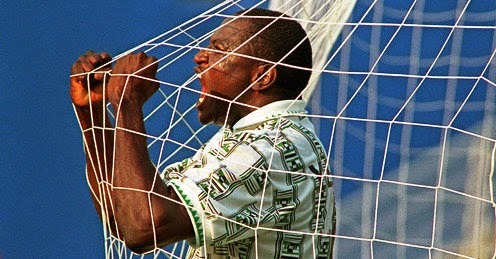 Versatile Scoop: Nigeria's 1994 World Cup's Memorable Moments! 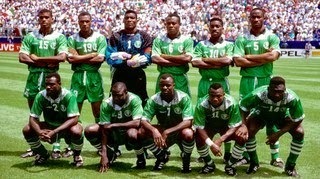 Nigeria's 1994 World Cup's Memorable Moments! Nigeria's Super Eagles's performance in the USA 1994 World Cup is one of the country's most talk about finest football moments. Even though the Super Eagles did not win the competition - the goals, skills, timing, dances, net grabbing, the emotions etc are moments Nigerians are still reminded of, every time a world is approaching! I've made a compilation so you can relive those moments while we gear up for the Brazil 2014 World Cup. Nigeria's first game is on the 15th of June against Iran! More pictures and videos when you continue. 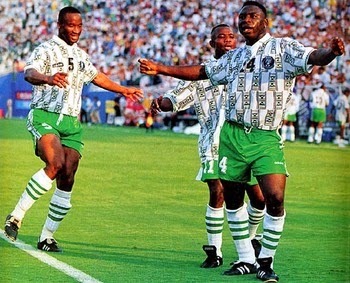 World Cup 1994 - Super Eagle's Amazing Goals!